Chun-Ying Wei is currently a PhD Candidate in Institute for Creative and Cultural Entrepreneurship, Goldsmiths, University of London. In her thesis she examines how cultural diplomacy has been incorporated in cultural policy in Taiwan. Chun-Ying’s research interests include cultural diplomacy and relations, cultural identity, and performing arts marketing. A graduate with double major in Philosophy and Sociology from National Taiwan University, Chun-Ying later obtained MA in Arts Administration and Cultural Policy from Goldsmiths. Prior to her PhD study, Chun-Ying worked as a performing arts administrator, later a project executive in Council for Cultural Affairs in Taiwan. 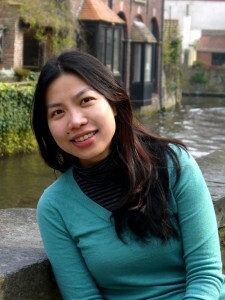 In addition to her study, She has worked as the London correspondent for the Performing Arts Review magazine published by National Performing Arts Centre (Taiwan). Chun-Ying is also an associate practitioner of Higher Education Academy in the UK.